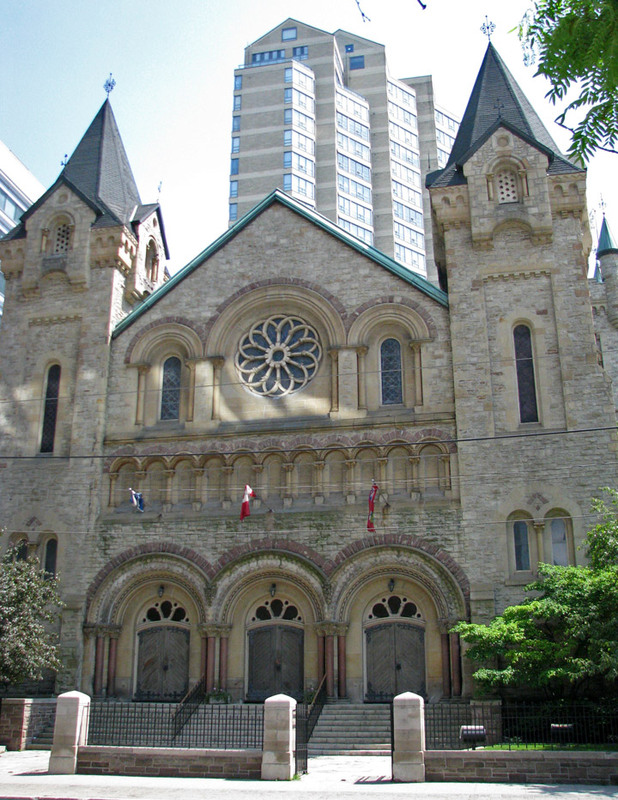 St. Andrew's Church, 73 Simcoe Street, Toronto is a large and historic Romanesque Revival architecture Presbyterian church in downtown Toronto, Canada. 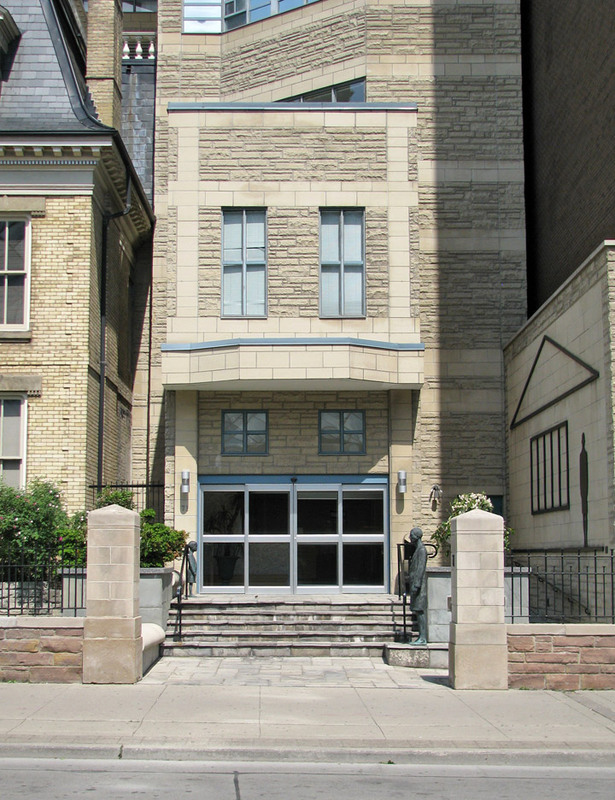 The congregation was erected as the Church of Scotland congregation in the Town of York in 1830 with the original church located at the south-west corner of Church and Adelaide (East) Streets. 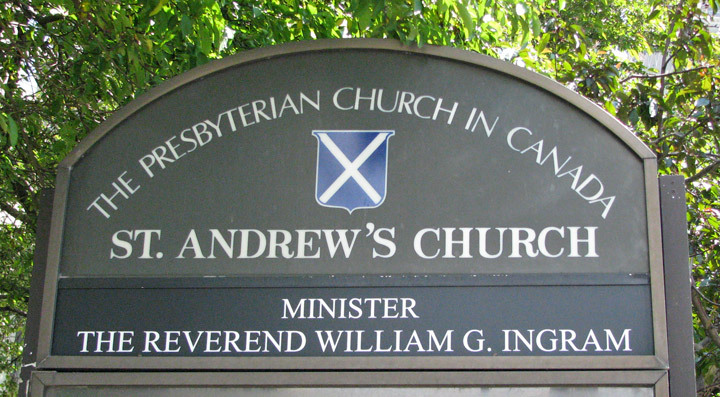 After the 1843 split of the Presbyterian Church in Scotland, a portion of the congregation supportive of the Free Church Movement left St. Andrew's the following summer and founded Knox Presbyterian, with the independent (since 1834) group led by Rev. James Harris, who had ministered there since 1822. 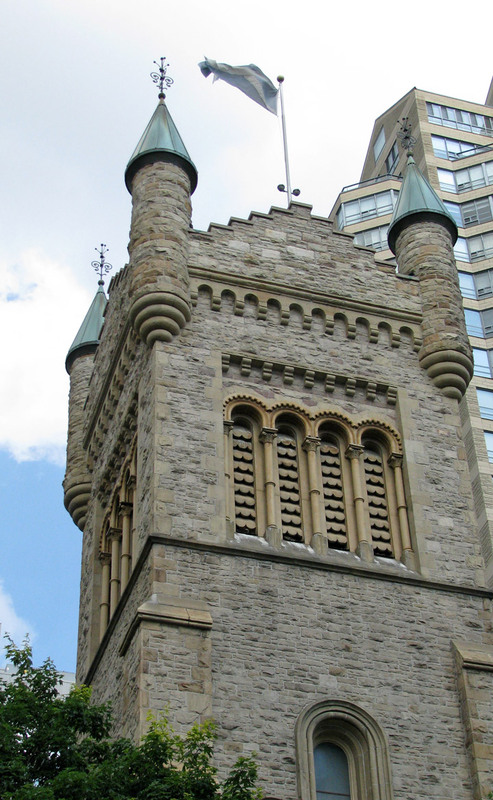 The original St Andrew's building eventually proved too small, and the church moved to its current location on the south-east corner of King and Simcoe Streets in 1876. This westward move caused some controversy, and the church split over the issue. One group continued (62 of 403 members) in the old church, that became known as Old St. Andrew's. 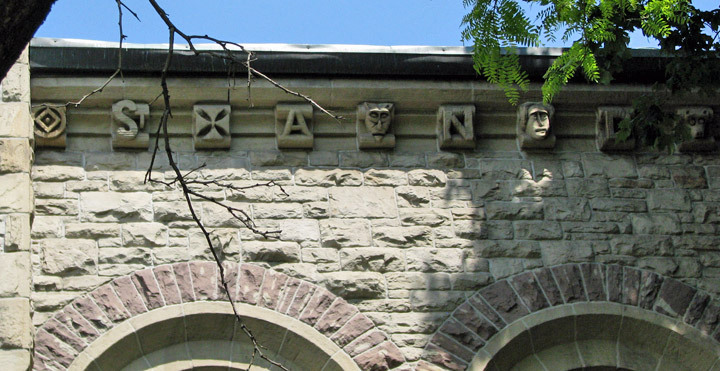 This group moved in 1878 to a new building located on nearby Jarvis Street. 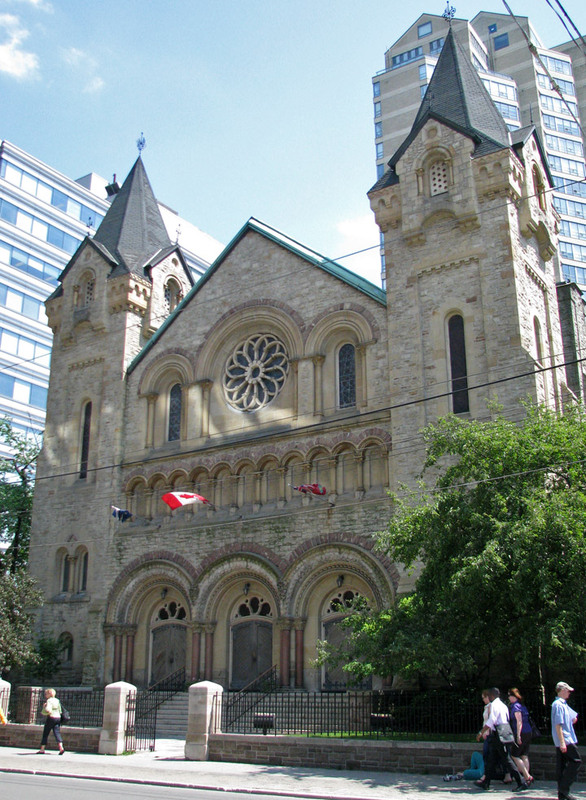 It continued until 1951 when Old St. Andrew's United Church joined with Westminster (formerly Yorkville Presbyterian) - Central (formerly Methodist) to become St. Andrew's United at 117 Bloor Street East, and the OSA building was sold and became St. Andrew's Evangelical Lutheran Church. The main congregation moved to the new Scottish Romanesque church that became known as New St. Andrew's. 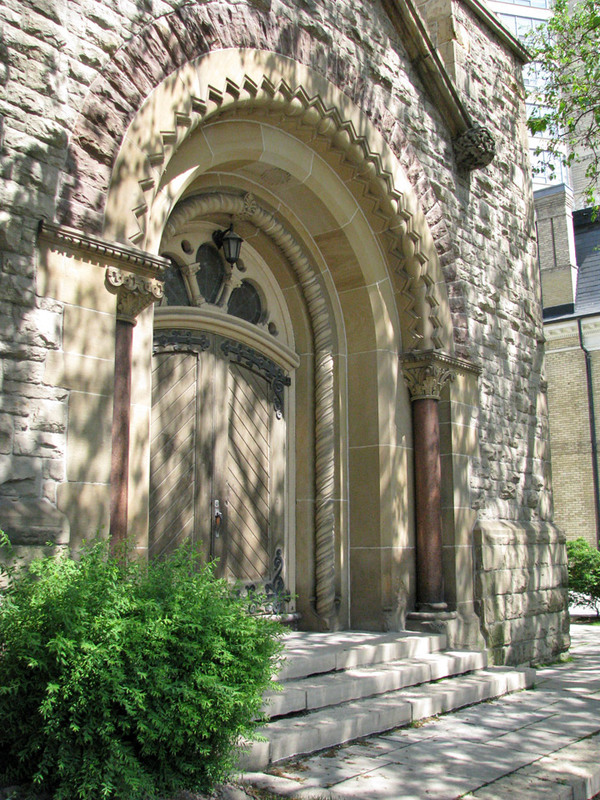 This building was designed by noted Toronto architect W. G. Storm and the church was the central Presbyterian church in Toronto, with an addition and renovation in 1906. It and became especially well known under the ministry of renowned orator Rev. D. J. Macdonnell (1870-1896) who pushed the church towards an active social role, and was the centre of a heresy trial in 1876, a minor bump in the recently-formed Presbyterian Church in Canada. 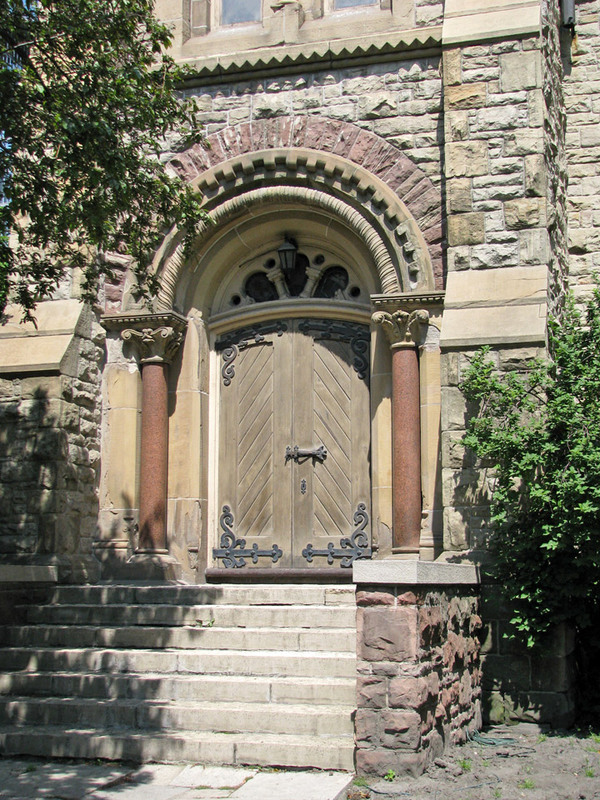 The congregation was one of the most active in opposition to the union that saw the majority of Canadian Presbyterian churches join the United Church of Canada in 1925. The St. Andrew's congregation, under the leadership of Rev. Dr. Stuart C. Parker voted 94% (19-733) against joining the new church. 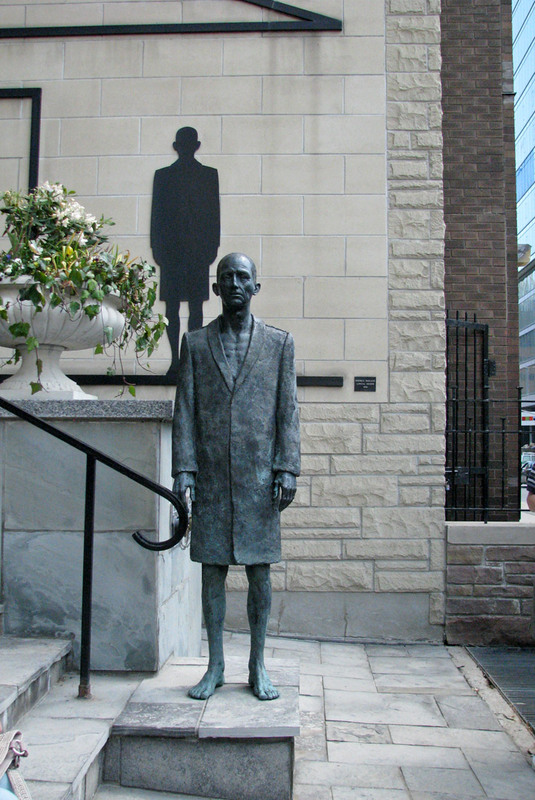 It was at St. Andrew's that representatives of the remaining Presbyterian churches from across Canada met for a "Congress", as well as the General Assembly of the Continuing Presbyterian Church in June 1925, and 73 Simcoe Street was the postal address for the anti-Church Union group, the Presbyterian Church Association.n. 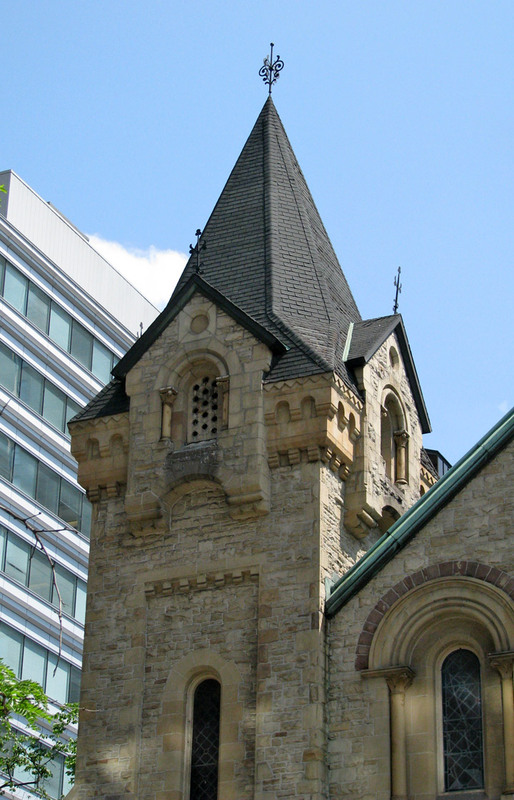 The church's downtown location had for many years presented a challenge to St. Andrew's. 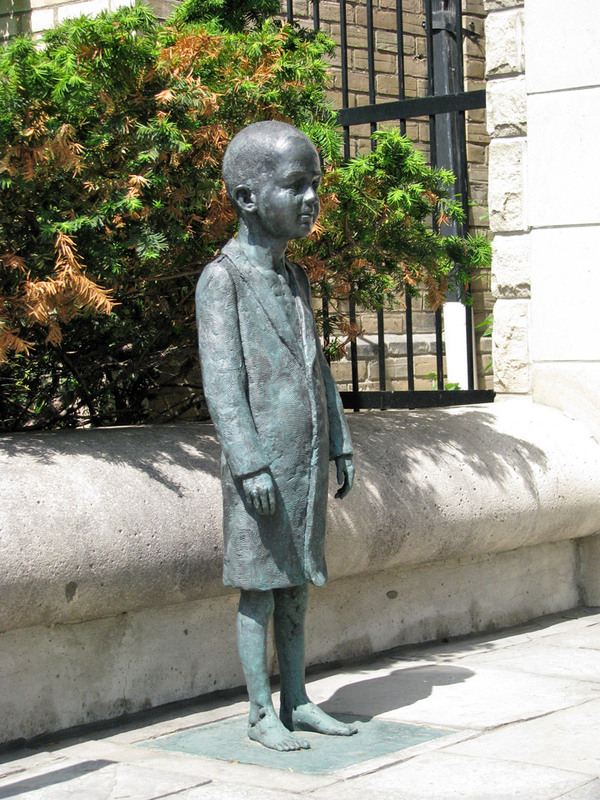 From the 1876 dedication at the corner of King and Simcoe Streets, representing Salvation. This key intersection (later superseded by the wide boulevard of University Avenue to the east), also included Legislation (the Lieutenant-Governor's Residence), Education (the original home of Upper Canada College) and damnation (a tavern), the area had become largely industrial and later one of the poorest in the city. Increasingly, the church patrons were living further north. There were thus many discussions of again moving the church, but each time the congregation voted to remain put. Eventually the revival of the downtown core in the 1970s and 1980s, began with the opening of the St. Andrew Subway Station at nearby University Avenue in 1963. 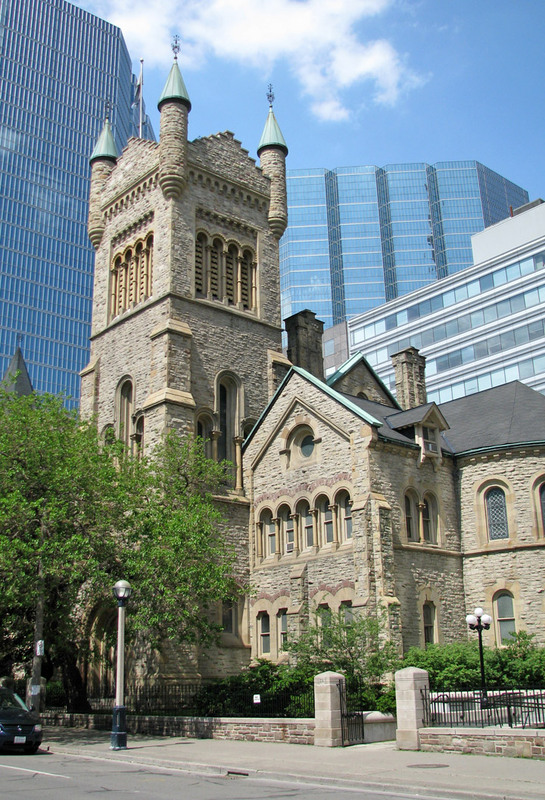 Further redevelopment of the area, has included the addition of the Roy Thomson Hall on the south west corner of Simcoe and King Streets, and has transformed the neighborhood, and the church is again prospering. After acquiring air rights from new buildings in the area, there was an extensive rebuilding at the south end, including construction of a new condominium tower in which the congregation retained the first three floors. The congregation has taken leadership in ministry to the poor, with "Out of the Cold", coordinated by famous author Stevie Cameron, and a Boarding Homes Ministry, as well as involvement with the Presbyterian Church in Canada's Evangel Hall. The congregation also maintains ties with its Scottish roots. The 48th Highlanders Regiment have a strong link with the congregation, and in March 2005, to celebrate their 175th Anniversary as a congregation, the Moderator of the Church of Scotland, Dr. Alison Elliot, was involved as their Anniversary Speaker.